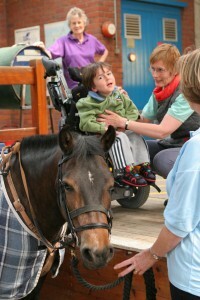 The Diamond Centre relies heavily on voluntary donations to subsidise the cost of providing riding facilities to disabled riders. It is only with help from people such as yourself that we can make the rides affordable to everyone. We welcome donations from private individuals, clubs, groups, businesses and charitable trusts. Sponsorship can vary from maintenance of a pony, sponsoring rides and riders, through to purchase of a new horse or equipment. Currently we need to raise £300,000 annually. We receive no financial support from government so donations and sponsorship are essential to enable us to run the Centre. … and make substantial tax savings on both Capital Gains and Income Tax.